James Larry Palmer, age 70 years, a resident or rural Vienna, passed away Monday afternoon, December 3, 2018, at 12:30 PM at his home. Larry was a former resident of Goreville and Decatur. Larry was born February 8, 1948 in Chicago, Illinois. He was the eldest child born to Rev. James L. Palmer and Erma L. (Kerley) Palmer. Survivors include: his sister – Anita L. Reynoso of Windsor, Colorado, as well as aunts, an uncle, nieces, nephews, cousins, and dear friends. In addition to his parents, Larry was preceded in death by: 2 sisters – Katherine Sue Palmer and Deborah Lou Murphy; and 2 brothers – Bobby Glen Palmer and Philip Edward Palmer. Larry served from 1965-1969 in the United States Navy. He was a member of the American Legion. Larry worked for many years as a delivery truck driver for a number of bakeries in northern Illinois. Larry was an avid fan of the Chicago Cubs and the Chicago Bears. He is fondly remembered by his family as an entrepreneur and for his love of collecting and sense of humor. He was a longtime vendor at the Trader’s Mall flea market near Paducah. Larry enjoyed collecting Native American and eagle pictures and artifacts as well as U.S. Navy memorabilia. A service honoring the life of James Larry Palmer will be held Saturday morning, December 8, 2018, at 11:30 AM at Bailey Funeral Home in Vienna. Military honors will be accorded by the Beggs-Gurley VFW Post # 5222. Private inurnment will be in the Gilead Cemetery near Simpson. 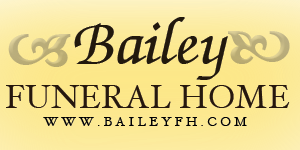 Visitation will be conducted Saturday morning from 10:30 – 11:30 AM at Bailey Funeral Home in Vienna. Memorials may be made to the Wounded Warrior Project, P.O. Box 758517, Topeka, Kansas 66675.